Med denne lette trådløse gaming controller kan du nyde klassisk spilstyring på din computer, smartphone og tablet (Android + iOS). Bring the console experience anywhere and everywhere with the PlayPad for Android based tablets. 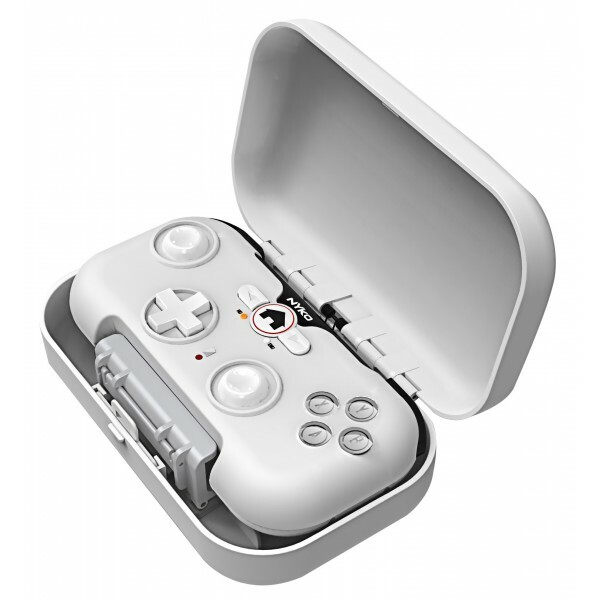 The PlayPad is a travel sized wireless Bluetooth controller with specialized tablet stand and carry case designed to work with a multitude of today’s top Android titles. Featuring dual analog stick, d-pad, 4 face buttons, left and right dual shoulder/trigger buttons the PlayPad has all the necessary tools to tackle any game. Designed in conjunction with NVIDIA® the PlayPad is compatible with numerous high-end mobile games optimized for Tegra-powered devices. 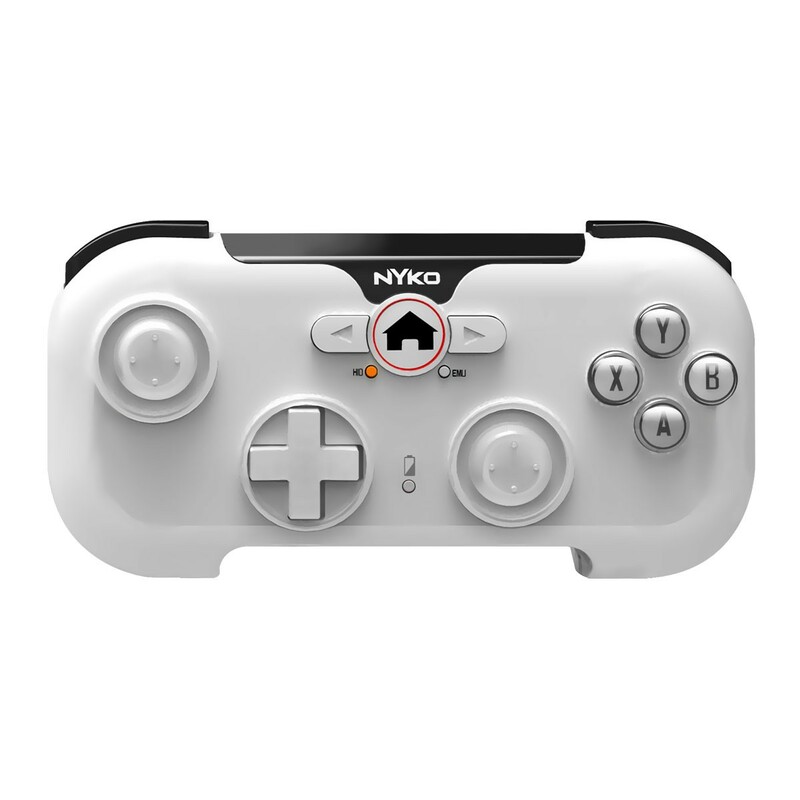 For expanded compatibility, the PlayPad works with Nyko’s free Android app, called Playground, to provide backwards compatibility for the PlayPad Pro with legacy tablet titles, including those that currently utilize keyboard mapping, touch mapping and mouse support. Playground provides profile management for customized control schemes, as well as pre-set profiles for top selling and popular games. The PlayPad Pro works with any Android 3.0 device or higher with Bluetooth. Also available in white.